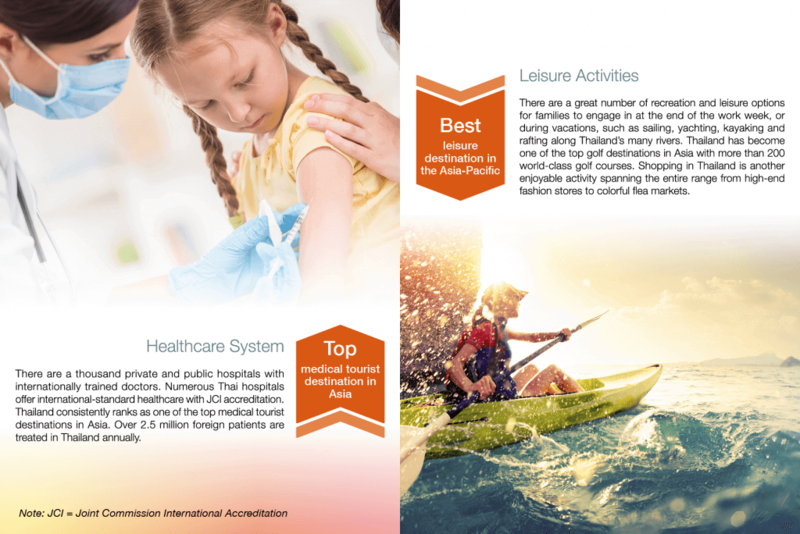 Strategically located at the heart of Asia, Thailand aptly serves investors as a dynamic gateway to a fast growing economic market. Our growing economy, world-class infrastructure, competitive human capital and strong government support, are responsible for our key position as one of the most attractive investment destinations for foreign investors. 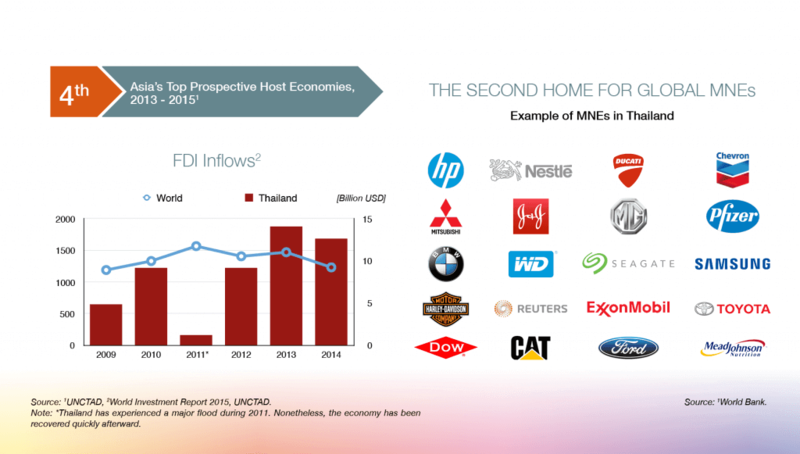 Thailand has demonstrated remarkable economic progress experiencing foreign direct investment (FDI) inflows’ growth of 21% over the past 6 years, compared to the global percentage of 0.7%. 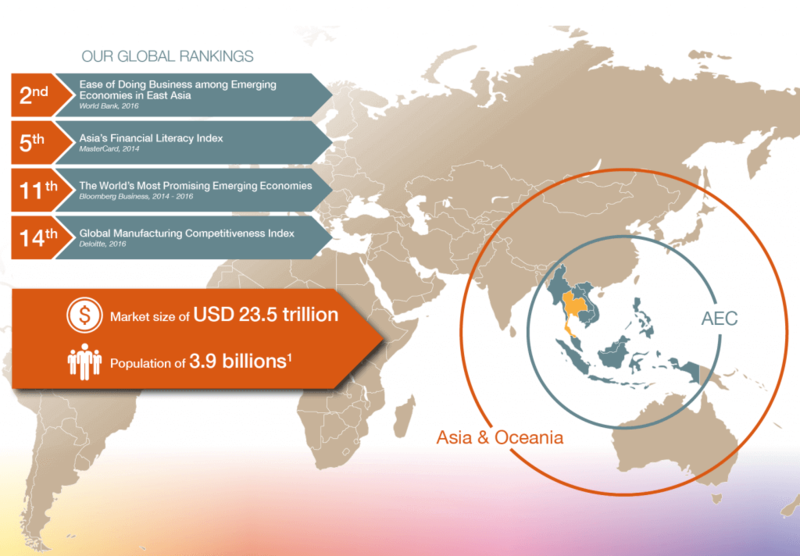 Occupying the 4th rank in Asia’s top prospective host economies, Thailand has gained a solid reputation as a second home for various global multinational enterprises (MNEs). 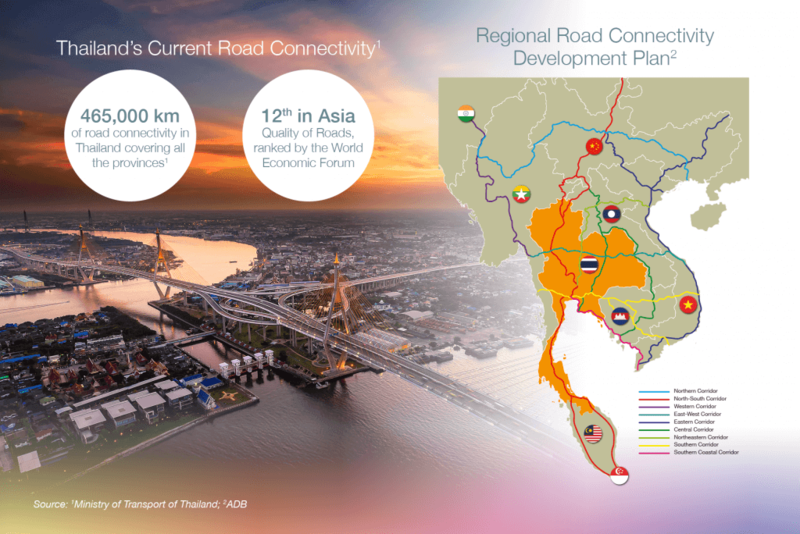 Thailand has more than 465,000 kilometers of roads and a vast highway network connecting each region nationwide. We are also continuously upgrading and constructing new international road networks. Our goal is to increase regional cooperation with numerous fast-growing countries such as China, India, Viet Nam, Malaysia and Singapore and become a major hub of regional road connectivity. More than 4,000 kilometers of railway lines connect the various regions of Thailand. Plans are in the works to build both double-track railways and high speed trains, enabling a better connection with neighboring countries. A new mass transit system in Bangkok is also under construction. 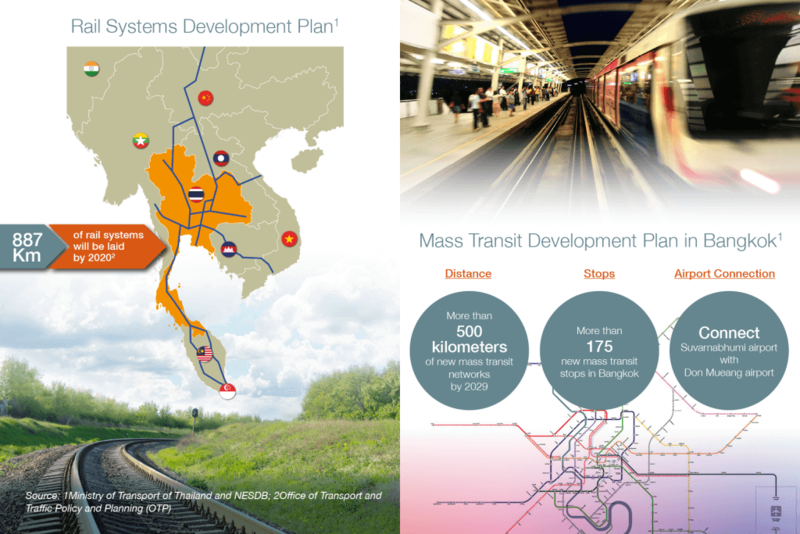 A total of more than 175 new stops are expected in the Bangkok Metropolitan Mass Transit system as well as in the rail connection between the Suvarnabhumi and Don Mueang airports. 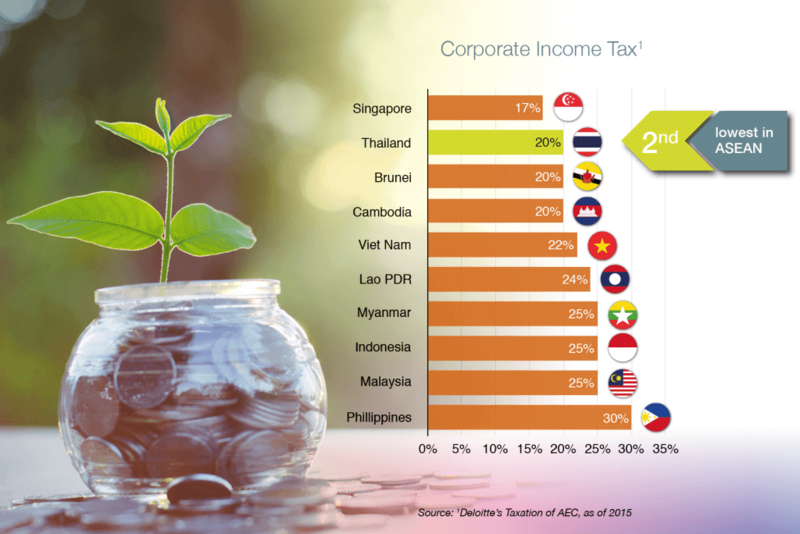 With the reduction of the successive corporate income tax to 20% in 2013, the corporate tax rate in Thailand ranks as the 2nd lowest in the ASEAN countries. Not only has this led to an increase in economic activities and investments in Thailand but it has also put the kingdom in a competitive position against other countries.